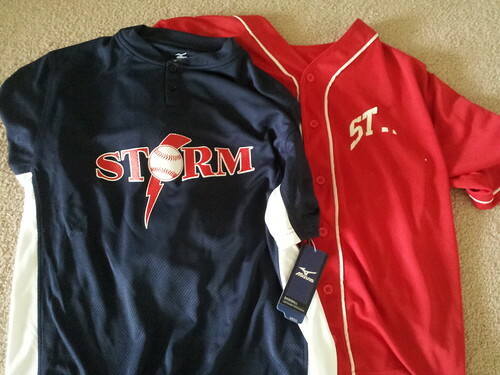 Our new baseball jerseys arrived today. I just picked them up at Home Run Sports. I think they look pretty slick. Here's the new and old, side-by-side. Here's the back. 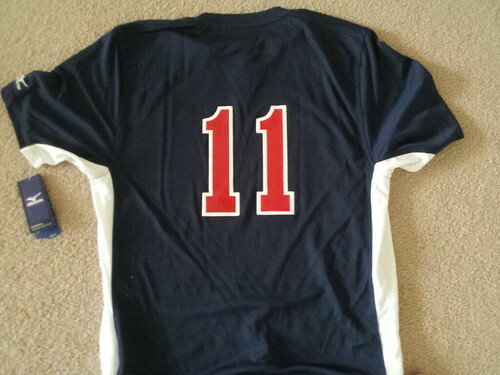 #11 forever. We hadn't updated our jerseys since 2008, so this is an exciting day.